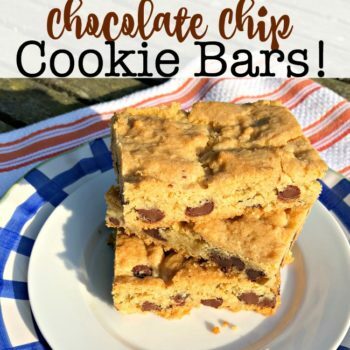 I love these chocolate chip cookie bars because you just pat the dough into the pan to bake- nothing to roll into balls or cut out with cookie cutters. 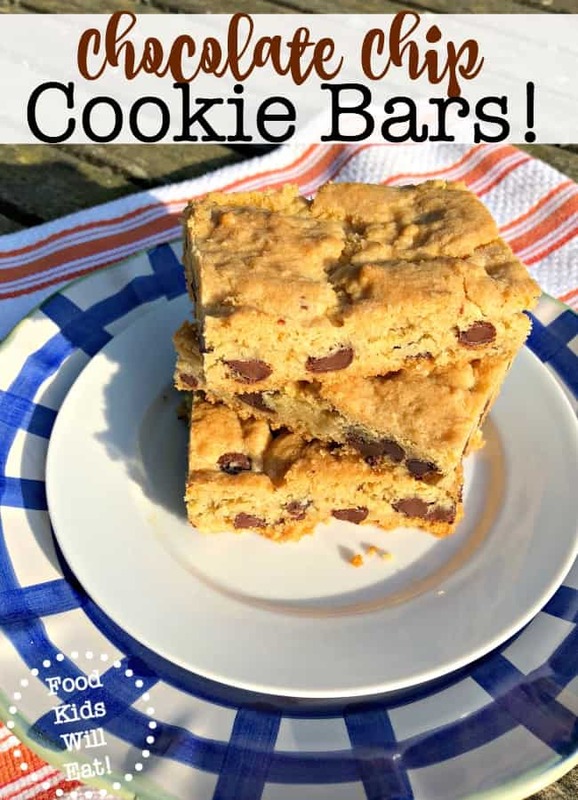 We prefer to make a triple batch of the dough and then divide it up to make chocolate chip cookie bars, butterscotch chip cookie bars, and plain cookie bars (without chips). Preheat the oven to 350 degrees. In a medium bowl, whisk together the flour, baking soda, and salt. Set aside. 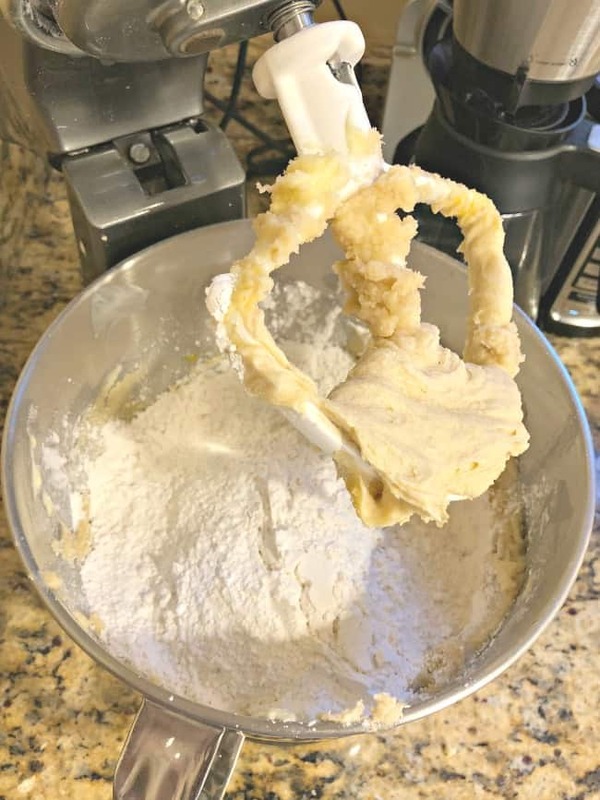 Place the butter and sugars into the mixing bowl and beat until light and fluffy (about 2 minutes). Add the egg and vanilla and mix until they are fully incorporated. Add the flour mixture and beat until just combined. 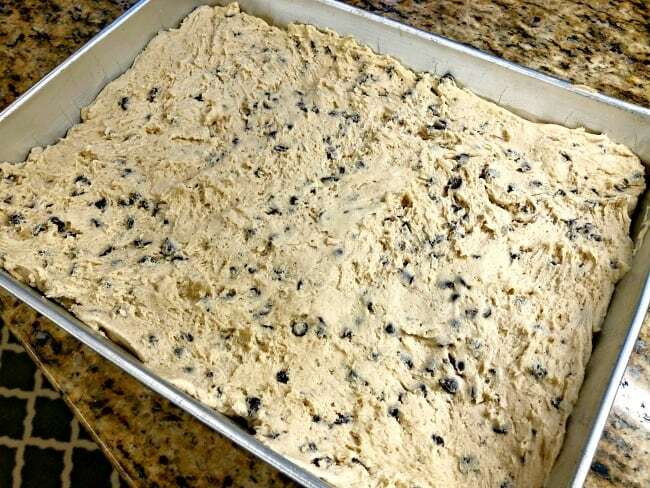 Press the dough into a 9×9 inch baking pan. Bake at 350 degrees for 20-25 minutes until golden brown on top. 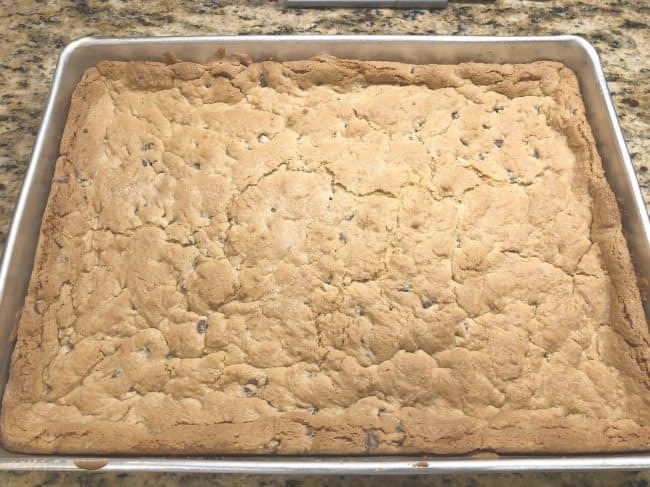 Allow to cool, and then cut into squares to serve. « 12 Pantry Organization Ideas!